Welcome to the website of Michael J. Messick Plumbing, Heating & Air contractor – New Jersey. With over 30 years’ experience as NJ plumbers, we will quickly and professionally take care of any of your plumbing needs. We provide top-quality residential and commercial plumbing service to customers in Central New Jersey and Eastern Pennsylvania. Our mission at Michael J. Messick Plumbing, Heating & Air is to provide prompt all-in-one service for our customers. We keep our trucks – our “warehouses on wheels” – well-stocked to remedy your problems fast. 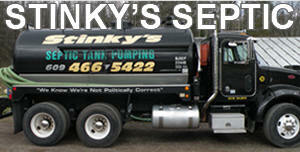 Do you need a leaky pipe repaired? Do you need a kitchen or bathroom remodeled? Do you need a gas heater installed? Michael J. Messick Plumbing, Heating & Air has the knowledge and experience to address all of your plumbing and HVAC needs. We have the skills to do the job right the first time, saving you time and money in the long run. 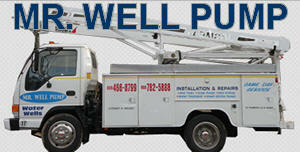 We stock, install, and service most brand name boilers, hot water systems, and much more. Many of our customers own properties in semi-rural areas without access to city water and sewer. Instead their properties are serviced by wells and septic systems. That’s not a problem for us. We operate two distinct divisions – Mr. Well Pump and Stinky’s Septic – to handle all of your well water and septic system needs. This means that with one simple call from you, we can take care of all your plumbing issues – whether you have city water and sewer or wells and septic. Small plumbing problems can evolve into much bigger problems quickly, and big plumbing problems can result in costly damages. At the first sign of trouble – leaky faucets, low water pressure, etc. – call Michael J. Messick Plumbing, Heating & Air. In most instances, our technicians can diagnose and repair your problem the same day. We deal with most major brand appliances and stock an ample inventory so you don’t have to wait for parts on order. Not only are problems with sewer or gas lines a nuisance, they can be dangerous or a health problem, too. Don’t risk it. Call us for prompt attention to these matters before they pose a threat. If you can’t be comfortable in your own home, where can you be? Here in the Northeast, we are fortunate enough to experience seasonal changes – but sometimes those changes can be a little extreme. Our heating and air conditioning services will keep your systems running reliably so you stay comfortable on the hottest summer days and the coldest winter nights. Commercial property owners have an obligation to their tenants to provide a comfortable, healthy environment. You can rely on us to help you meet your obligations. Our HVAC technicians are as comfortable working on larger, more complex commercial heating and air conditioning systems as they are working with smaller residential units. And we provide all of our customers – commercial and residential – with the same prompt service. At Michael J. Messick Plumbing, Heating & Air we are happy to book maintenance and routine service appointments convenient to your schedule. Sometimes, however, plumbing problems arise at the most inconvenient times. That’s why we have an emergency operator on call 24/7. If you call Michael J. Messick Plumbing, Heating & Air with an emergency situation day or night, you will talk to a live operator. You won’t have to leave a message on a machine wondering when and if the message will get through. We know that fast, efficient attention to emergencies can minimize damages and save you money on costly repairs. Whether the job is big or small, Michael J. Messick Plumbing, Heating & Air strives to provide high quality service at competitive prices. Our goal is customer satisfaction and the way to achieve that is through prompt, efficient service. Our technicians are trained to do the job right the first time, saving you time, money and inconvenience. And for your peace of mind, all of our technicians are fully licensed, bonded and insured. Give us a call today and see what Michael J. Messick Plumbing, Heating and Air Conditioning can do for you.